but its 25°C in your home. You open the windows to try and find a little cool air. 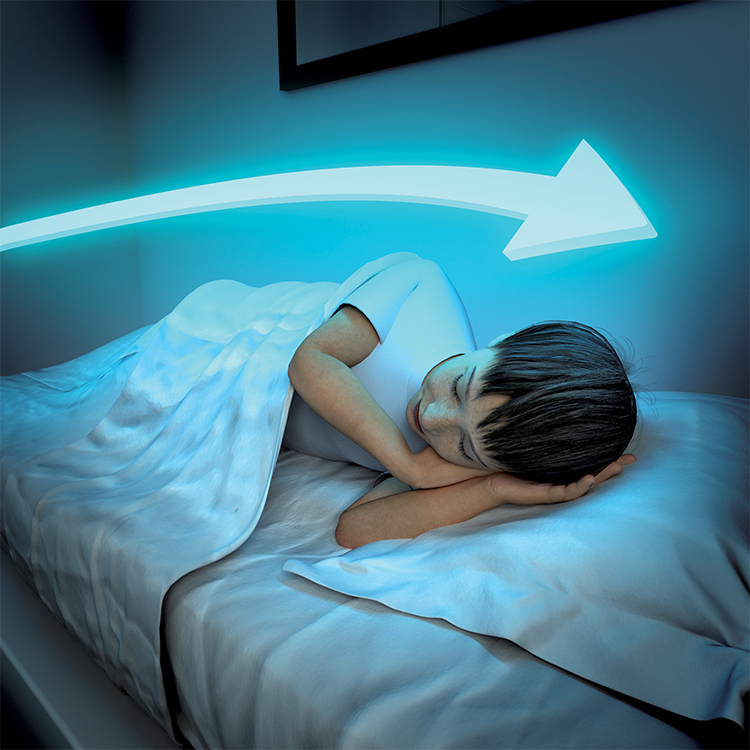 But this means your sleep is disrupted by outdoor noise and the little insects which enter your bedroom. Now, imagine that your aerovoltaic unit, which provides you with warmth in winter, also cools you down on hot summer nights. This is exactly the AIR-VOLT magic effect! 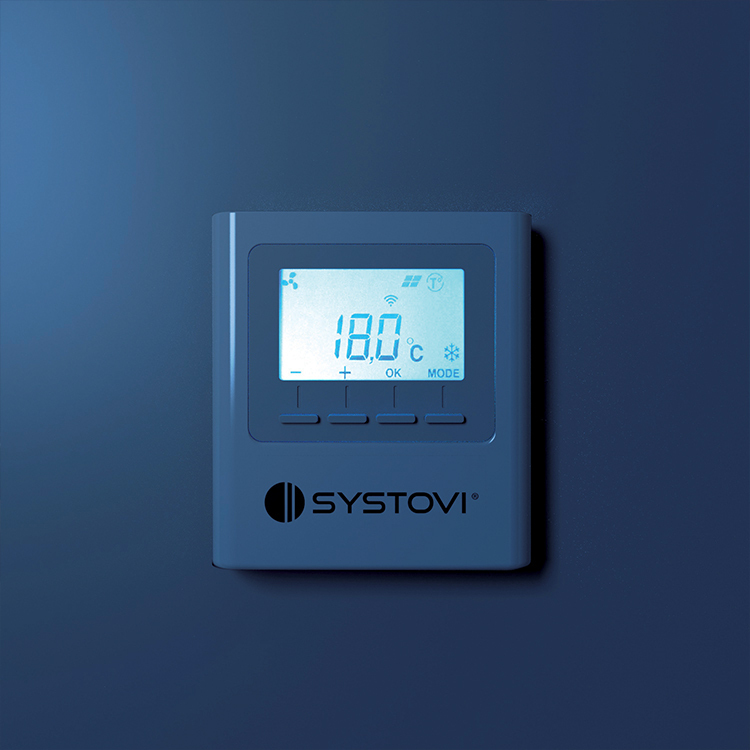 In the summer you can use the thermostat to set the system to night cooling mode. 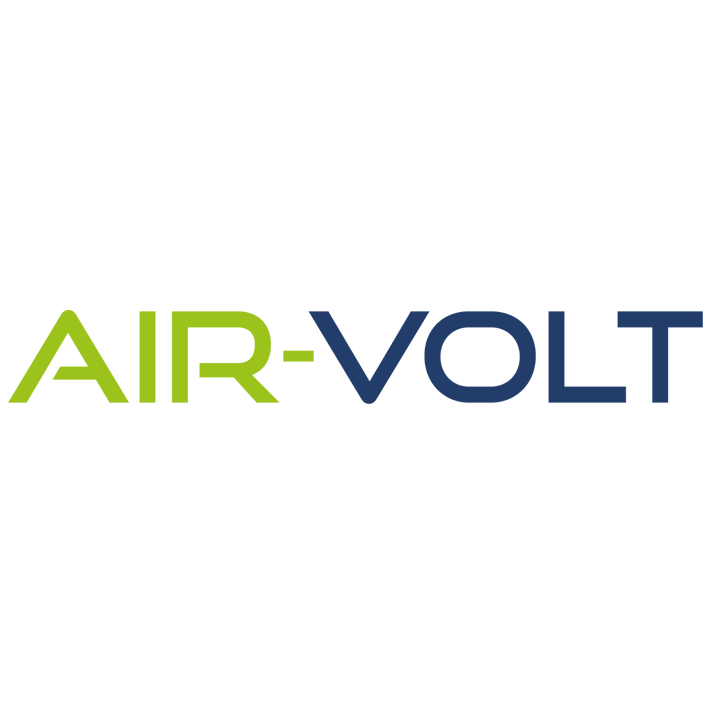 The AIR-VOLT panels then use another of their characteristics: the freecooling effect. 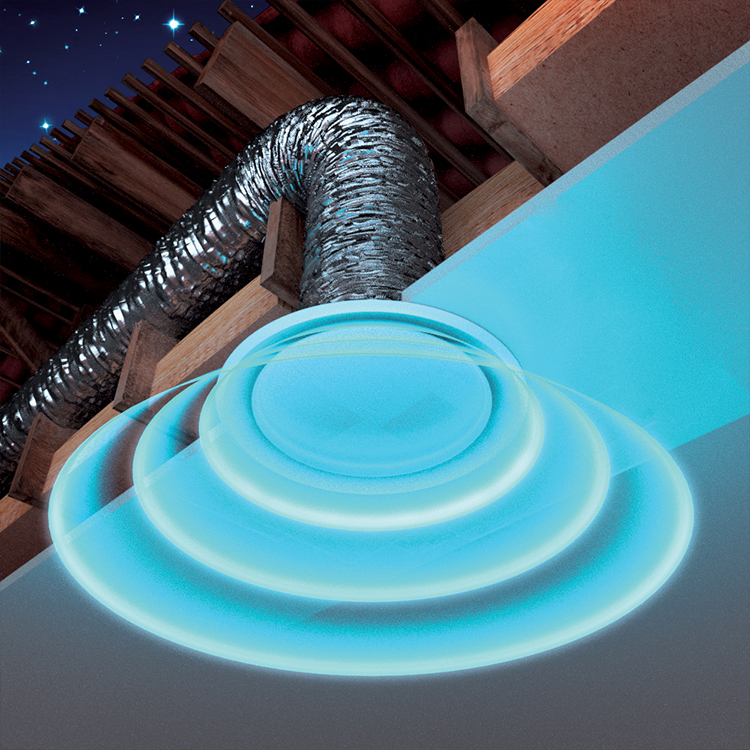 Thanks to this effect, the air collected which was warm in heating mode is now cool. 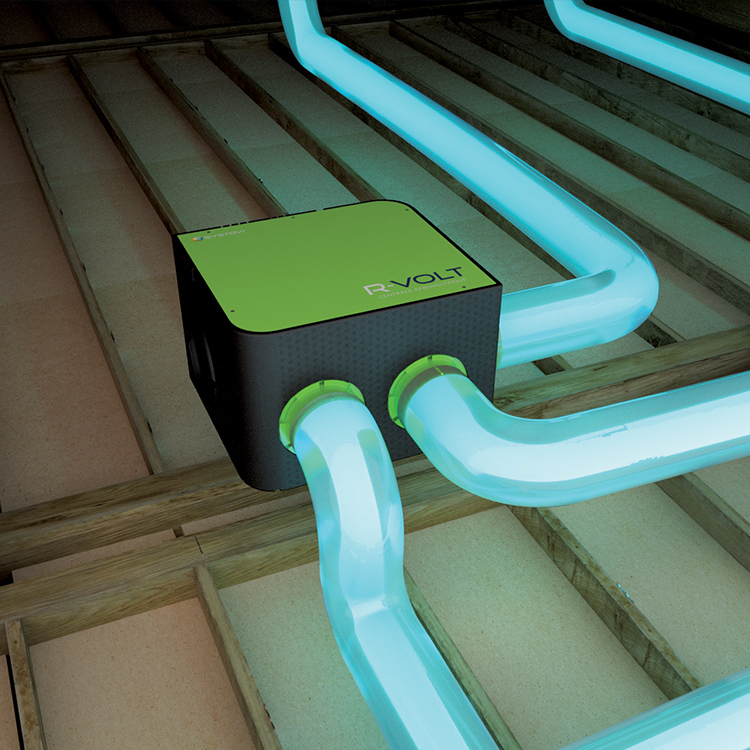 For several hours, AIR-VOLT will quietly inject cool air into your home, on average 4 °C lower than the outdoor air. This will provide you with ideal comfort at night, with your windows closed. 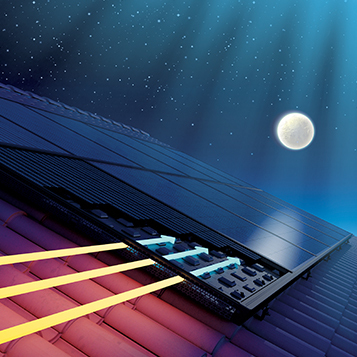 At night, the air recovered under the panels is cooler than the outdoor air. This phenomenon is due to the presence of silicon on the glass and cells which make up the panels. Silicon is the base component of a material we know well: sand. In fact, have you never found that sand on the beach is red-hot during the day, while the same sand seems very cold at night? This is exactly the thermal contrast which AIR-VOLT uses to produce cool air at night.